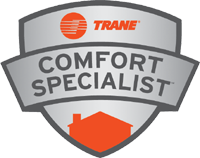 WaterFurnace is dedicated to providing you with safe, reliable and energy-efficient heating and cooling systems that save you money while helping protect our environment. WaterFurnace geothermal systems use the free, renewable energy found in your own backyard to save up to 70% on heating, cooling, and hot water costs. Our engineers and technicians work to create and build quality geothermal products that are extensively tested to ensure the highest quality. An industry leader and an innovator in geothermal technology— WaterFurnace: Smarter from the Ground Up.